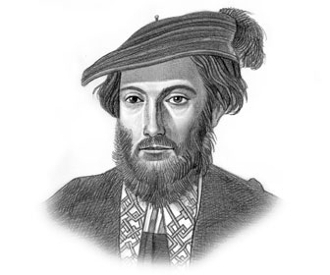 Amerigo Vespucci was an Italian explorer who sailed West and discovered that Christopher Columbus had not found the West Indies but instead had found a New World - an entire continent unknown to Europe. In 1507, German cartographer, Martin Waldseemüller, named the new continent "America" after Vespucci and the name stuck. In honor of Vespucci's historic accomplishments, we've added another historic 16th century Italian tradition to this full city roasted blend of smooth South American Beans - amaretto flavoring. For more information, check out Leigh’s Mission HERE!o sailed West and discovered that Christopher Columbus had not found the West Indies but instead had found a New World - an entire continent unknown to Europe. In 507, German cartographer, Martin Waldseemüller, named the new continent, America, after Vespucci and the name stuck.